I believe that the Packers have a good chance of making the playoffs and once in the playoffs you never know what can happen, so with that hope I have them picking 32 as Superbowl Champions. Donald Driver: Driver has stated he wants to play until he is 40, but with no contract and another Superbowl victory he can ride off into the sunset on a high note. Driver has seen his playing time significantly decrease. Driver may be more inclined to come back if Jennings is gone, but with Nelson, Jones, and Cobb clearly ahead of him he may not want another 5 plays a game season. Evan Dietrich-Smith: EDS is a tough and gritty player that has been solid in the relief appearance he has made. He has a lot of versatility, being able to play all interior spots of the line, giving him a lot of value to us. He is a good utility guy to have and gives the line flexibility. Greg Jennings: I have gone back and forth on Jennings. The money he would cost to secure him for a longer contract could handicap us when resigning Rodgers, Matthews, and Raji. However, we have some big contracts that could be restructured, Woodson and Pickett, and if we hold off on some of the other signings until the cap goes up it could become easier. As of right now I feel Thompson will at least franchise Jennings. This allows us to “rent” him for a year, at about the same salary, or trade him and get more value than the compensatory pick we would garner. In the end I have him as franchise tagged. Sam Shields: Shields is a restricted free agent and I feel will get the highest tender level. The money would not be that much and if someone would bite on him we would be getting a high return on him. Frank Zombo: Zombo has been injured for most of last year and so far all of this year. If Zombo can come off the PUP list and provide solid depth/special teams I think he will earn a spot for training camp. I think that it will be much like Walden where he is not signed immediately, but after a couple weeks into free agency he will be brought back for league minimum. Erik Walden: Initially I did not think he would be back, but so far this year he has been pretty good as a rotational player/spot starter that can play both sides. He can keep guys fresh and provides good depth. Ultimately I think he signs another short and small contract bringing him in for at least next years training camp. Brad Jones: Jones has learned inside backer, already knows outside backer and he is a solid special teams guy. He should not cost that much and provides good depth. So far he has not looked bad at inside backer giving him more reason to be back next year. I cannot foresee Thompson changing his ways and making any big signings. I think we could see a couple of players, similar to what he did this year, but no one big. I think we do receive at least one compensatory pick; I will put this as a 4th. Flynn may not play a ton, but he did get paid a good chunk for this year. My guess is Wells is offset by Saturday’s signing. Looking back on players that garnered a 3rd were the massive contracts/”superstar” signings like Peppers and probably Williams this year. There have been a couple of mocks posted here that have Jones being picked by us and nothing changes here with me. I think that Jones can be the answer for us at center. Whether Jones plays immediately or waits a year, I think he can be the guy to take over for Saturday. Also, if he does not play immediately he is a guy that can be a backup at 4 positions, possibly even 5, being that he has played left tackle, guard and center at Alabama. Jones is highly intelligent and is able to effectively transition from position to position and from all account I have seen/read he seems to have a good football IQ. I think that Jones will become much better once he settles into a specific spot. Jones plays with good technique and hand placement, which is something that will help him control his man at the point of attack. Jones is a pretty balanced offensive lineman that has been effective at opening holes for past first round picks Ingram and Richardson, while at the same time he did a pretty good job at holding back pass rushers last year, especially against LSU’s fierce pass rushers. I think Jones is someone that will be capable of taking guys one on one, meaning we can account for other team’s lines and blitzers more effectively. Ultimately, Jones offers us with a very versatile lineman that can help protect Rodgers, something that is priority 1 on offense. Finley has not produced to the level that his contract. He still has time to turn it around, but he is running out of chances. He still creates mismatches with his size and athleticism, but he has been unreliable when the ball comes his way. Even if the Packers decide to keep him for next season he will be auditioning for his job and getting a prospect behind him is not a bad idea. Our current depth chart does not have a clear cut replacement. It is unknown how Quarless will be coming back from his injury, Williams has not been the receiving threat he flashed in training camp, Taylor has primarily only been a special teams guy, and Crabtree offers little in the passing game. Ertz is someone that has the size and athleticism to create mismatches like Finley does, albeit not as good of mismatches. Ertz has good leaping ability and should be a solid redzone threat too. 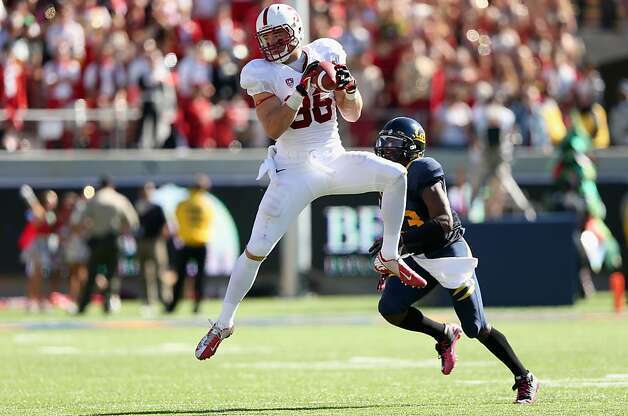 He has been a reliable receiver for Stanford and has developed into their number one option. Stanford has been a solid running team in years past, but Ertz still needs to develop better run blocking. Personally, I do not think he is as much of a liability as Finley is, but that is not saying much. If Finley does earn a resigning then we have a good 1-2 combo at tightend. Patton is not someone that is going to “wow” you in the work outs like Justin Hunter will, but he is a steady and consistent receiver. Patton looks to be pretty quick off the line, which helps him gain separation. He does not have burner speed, but his speed and quickness are good enough to gain separation from defenders. Also, he is pretty good in space once he gets the ball in his hands. He displays good hands and has been a consistent number one threat for Louisiana Tech the past two seasons. Patterson is someone that can be groomed behind the Nelson, Jones, and Cobb to help keep our depth and future at the position promising. Green has not taken full advantage of his opportunity, but he still have time to prove he can be an effective runner and adding a compliment back may help his effectiveness. Barner’s frame is not one built for taking a bunch of punishment. He is someone that possess good speed, agility, quickness, and open field ability. This makes him a solid change of pace guy, 3rd down back, assuming he can pick up the blitz, and a good special teams guy. He would allow us to take Cobb off of returns as Cobb becomes more intricate in the passing game. Also, he should be a matchup nightmare for linebackers, similar to what Sproles is for the Saints. Geathers is a massive defensive lineman that is very difficult to move at the line of scrimmage. 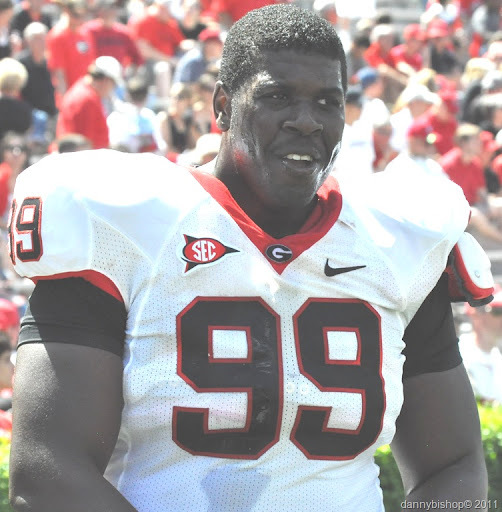 Right now he is only a rotational player at Georgia, mainly due to Georgia’s talented line, but he has talent to be an effective defensive lineman at the next level. He is good at anchoring and holding his main at the point of attack. He is very much like Pickett in respects that he should be very effective against the run, but not offer much in the pass rush department. Geathers can also rotate in with Raji and plug up the middle, once again he will not get the rush that Raji does, but his size will probably command a double team and allow other guys to have a one on one matchup. Geathers is a good rotational player with Pickett, Raji, and Wilson to help against the run. He also has been pretty good at getting a push on field goals. Oroko has the size and speed combo that Thompson usually looks for. He is a smart player that does a good job in coverage. However, he is not a ballhawk player and needs to do a better job on getting his hands on the ball. Overall, he is a guy that can add some depth to our roster. This is probably over drafting a guy that rotates in on Oregon’s line, but the gene line and potential may warrant a late round flier. Long started his career at Florida State playing baseball, but ended up having to leave the school. He picked up football at Saddleback and earned a spot at Oregon this year. Some did consider him a more gifted athlete than his brother, second overall pick Chris Long, but he needs to prove he still has football potential. Long is petitioning for another year of eligibility, but it is no guarantee he gets it. He will be a project that based on his genes and physical abilities could be a good developmental guy. Rodgers is slightly undersized and does not have the same mobility/arm that his older brother has. However, it would probably please Aaron to see him taken by the Packers and who better for Jordan to learn under. Rodgers is someone the Packers can try and develop into a solid number two quarterback. He should be able to compete with Harrell and Coleman for a spot/practice squad spot. Love this draft!!! I also think most of them will actually be there when we pick which for a mock is rare. Jones is a no brainer to me. Like you said can fill in anyware and a guy with the feet to play LT, the power to play OG should make a great center. I like Patton he may or may not be there but I would be happy with him, Kenny Stills - Oklahoma, Aaron Dobson - Marshall or Marcus Davis - Virginia Tech at that spot. 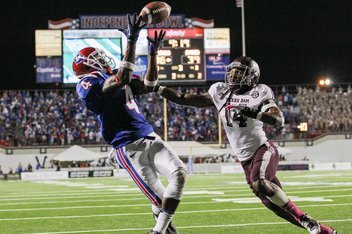 I think we will need another young WR... good spot. We could go OL here too. 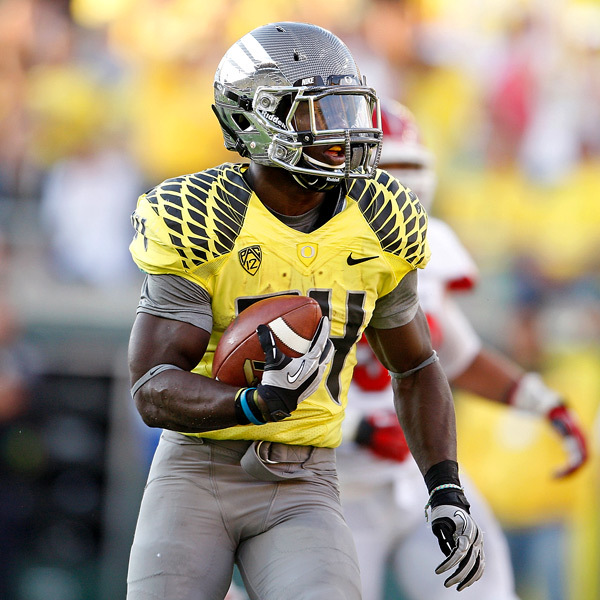 A guy I think is really intersting but mayb too high here to pick him is Denard Robinson. Could be better in all aspects than Cobb is if he can catch. Faster and more elusive. Everyone says a 195# RB is too small and cant take the pounding but we never give the ball to a RB enough to get him that pounding. All we want is someone to keep the defense honest. Barner's home run ability will do just that. Who else on our roster could? Gathers... this one may be gone but I agree being in a rotation may allow him to slide. You can never have enough 6'6" 350# run stoppers on your roster... wait we dont have anyone that size. Roghers? why not. Remember Aaron's arm was suspect early in his career as well and Alex Smith went higher because he was to be the better athlete and able to scramble better than Aaron. Long isn't leaving yet. I remember he has three years to play two or something. Will be at Oregon still next year. Love Quinton Patton. Him and Aaron Dobson are my favorite Packer WR targets this year so far. I know he is listed as a senior right now, because he played a couple of seasons of baseball at FSU and then JUCO football. I know he applied for an additional year, but as far as I know it has not been announced if it was granted. I thought it was granted this offseason? Him and Brandon Bair's brother IIRC got their stuff filed through the NCAA. I could be wrong though. Nice mock BTW. If Patton is gone I like all of the guys you mentioned. I did think about Robinson for a later pick, but I think he will be limited to playing the slot. He does have the athleticism to be a good slot player, but with Cobb on the roster I do not want a guy limited to the slot. I agree that Barner's size is mitigated by the fact we are a pass first and heavy team. I meant it more to his role, showing that he will be a guy that is given the ball in space; rather, than a guy that will take it between the tackles. I did want a lineman earlier, but I did not see value in guys that I thought would be there. Plus I think/hope Sherrod is back and fully healthy heading into next year. With him we have a solid trio of tackles and on the inside we have EDS as a inside backup and if Saturday is back we have Jones for the depth. Thanks! It could be I thought the article I read was from September and said he filed it, but is just letting Oregon take care of the details and has not heard anything. Very well could have been granted and I overlooked the date. Personally, I think he should get the extra year, but would like to have him as a prospect. 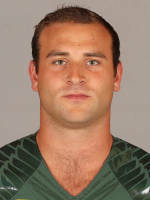 I heard during the Stanford- Ducks game what you had written initially rbens06, that he was applying for one more year and that he was a senior. Edit: Would love the first 2 picks- I don't know enough about the others other than it would be nice to cheer for a Duck or two on the Pack.